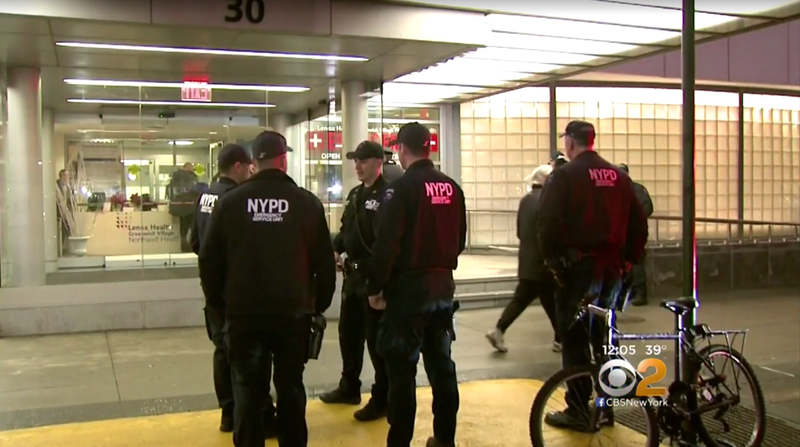 NEW YORK -- An NYPD officer has been suspended after police sources said he was on his cell phone when a man in his custody escaped from a Manhattan hospital, CBS New York reports. Daniel Ortiz, 31, of Brooklyn, got away around 3:30 p.m. Thursday while in custody at Lenox Hill Healthplex at Seventh Avenue and West 12th Street, the NYPD said. Ortiz was picked up for allegedly stealing from Macy’s in Herald Square. He was brought to the hospital by Officer Albert Belcher, of Midtown South, to be treated for what Ortiz claimed were stab wounds, sources said. Ortiz was handcuffed behind his back and his legs were shackled when he was brought to the emergency room, sources said. One of the shackles was removed at the request of hospital staff for treatment, and Ortiz was then cuffed by his right hand to the bed, according to sources. The room he was in had a back door, which was believed to be locked, sources said. After reviewing video, police discovered Belcher was on his cell phone and had walked out of view of Ortiz for four minutes, sources said. When Belcher returned, there was no trace of Ortiz except for a shirt and handcuffs that were left behind on the bed, sources said. He somehow managed to slip away, and was last seen entering the 1, 2, 3 subway station at West 14th Street and Seventh Avenue, sources said. Belcher, who has been on the force since July 2011, has been suspended for failure to safeguard a hospitalized prisoner, sources said. This is not the first time a suspect has escaped from police custody. Last year, six suspects under arrest broke free in as many months. There have been three cases of people escaping custody this year. In June, police said Rhamar Perkins ran through an unlocked back door at a Crown Heights police precinct. Officers searched for five hours before the 16-year-old turned himself in. For investigators in Greenwich Village, the search for Ortiz has hit a roadblock. The suspect’s scent was traced to the 14th Street subway station, but he hasn’t been seen since, Doris reported. Police describe Ortiz as 5’6″ tall, 130 pounds with brown eyes and brown curly hair. He was last seen wearing a dark pea coat, dark jeans, boots, no shirt and had a shackle attached to his leg. Investigators say he may have been able to hide the shackle inside his shoe. He also walks with a noticeable limp and police said he may have been bleeding from the wrist. “Especially with the shackle on his leg, I can’t believe they haven’t found him yet,” said nearby store employee Alex Difiore. Ortiz has 16 prior arrests on burglary, assault and other charges, sources said.